According to an estimate, the global e-commerce market will reach USD 4 trillion by 2020. This is the reason more and more companies, be it single-handedly run firms or MNC’s are joining this industry. 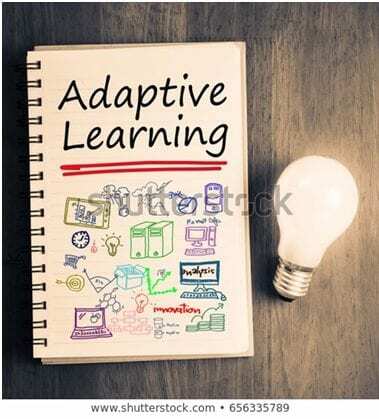 If you are associated as the Sales Executive or Growth Manager of an e-commerce firm and you want to increase the sales to boost the revenues then you should know about adaptive selling and how adaptation can help in E-commerce selling of products. In simple words, adaptive selling is a strategy in which a sales representative adapts his or her selling style after judging the behaviour of the customers. It varies from formula selling method, in which sales representatives make use of a one size fits all kind of standard approach. Adaptive selling has an edge over formula selling because in the former, a sales representative actually listens to the customers, knows the need of the customer and then customizes the presentation of a product or service. Most of the consumers can be categorized into 4 social styles, amiable, analytical, driver and expressive. All consumers in these categories have some characteristics that allow sales representatives to adapt easily and keep the customers’ interested. The four styles and e-commerce selling strategies that work for each of the social styles are mentioned right here. How to Handle Analyticals in Adaptive Selling? People who belong to the analyticals social style are those who want to have a look at facts before they make the purchase decision. So, when selling to these customers, an e-commerce sales representative should focus on providing every detail of the product, even all the pros and cons and be ready to answer a lot of relevant questions. For such people, the e-commerce sales representative should focus on facts like how many people have benefitted from the product and also highlight about warranties to ensure that there are no perceived risks. Using words like “Bestsellers” and “Recommended by experts” is a good idea to boost the sales of e-commerce marketplaces like eBay or TrueGether to Analytical. How to Handle Drivers in Adaptive Selling? The second social style worth considering is drivers. The people who belong to this category are victory chasers who want to win every time. These people like to be in the control seat and are quick decision makers. An e-commerce sales representative can convince these people by being precise, to the point and honest as these people don’t like small talks and prefer to have a variety of the same product like different colour options in online hoodies to ensure that they remain in control, always! Also, an e-commerce sales representative should make the checkout process easy for these kinds of customers and make the most of their quick decision-making habit. The e-commerce strategy of “Recommended for You” works well with such people. How to Handle Amiables for Adaptive Selling? If you are an e-commerce sales representative, you need to win the trust of amiables because these people give more value to trust than being in the control seat. These people also buy products that are actually needed or solve a problem. Long lasting products are usually favored by such people. As an e-commerce sales representative, you should try to connect with amiables and try to build a relationship. Once, you get to know the person, only then the sales pitch should come into play. In the e-commerce arena, these people go for “Trusted Brands” and select “Highly Reviewed Products” (4 stars and up). People who belong to this social style don’t like small talk or the facts & figures. They are more focused on what’s happening around the world because they want to follow the trends and gain recognition and status. When an e-commerce sales representative comes across such people, he or she should walk them through “Global Bestsellers” and share how many people have bought and accepted a product during the sales pitch. Also, focus on the expressives’ feelings about a product or service. It is also suggested that you share some creative ways of using a product so that the expressives not only follow the trends but set the new trends by mentioning a new way of using a product in their circle. These people are also attracted by “How to” Product videos. In essence, it can be said that adaptive selling is not restricted to offline sales only. It can increase the e-commerce sales as well, if used smartly. If you want to be a smart, forward-thinking and successful e-commerce sales representative, you should master the art of adaptive selling and learn to cater to the needs of people belonging to all four social styles. The learning curve for this might be a bit complicated but the results would always be long lasting and measurable. Author Bio: Priyanka Sharma has been writing various articles for business, environment and fashion. She has done her graduation in BMS(Bachelor in management studies)from Mumbai University and is currently working with TrueGether. Prior to this she was undertaking a training program in Bombay stock exchange and is pursuing her certified financial planning course. She is passionate about learning new things everyday and travelling.